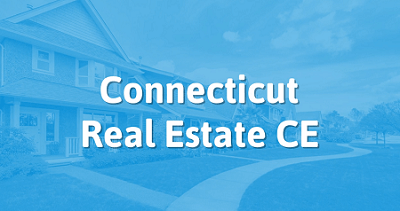 We are a Connecticut Real Estate Commission approved continuing education provider (CTREC School Code: 0470). 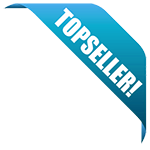 You can find us on the Real Estate Continuing Education Provider list as 1 ATTEMPT (AYPOREALESTATE.COM). Complete your continuing education to renew your CT real estate license today. All of our courses can be completed At Your Pace Online in order to help you maintain your license. Once you complete your class we will report your course completion to the state for you and you will have an official certificate of completion available to print or save for your records. Continuing education must be completed before each even numbered year renewal. Brokers and Salespersons have the same continuing education requirements but when it is due differs. Brokers must have their CE complete and renewal processed no later than March 31st. Salespersons have until May 31st to renew. 3 Hours of Mandatory Education (topics and hours are chosen by the Real Estate Commission every renewal). 9 Hours of Commission approved electives. AYPO offers this 12-hour course package to meet the CE requirements for Connecticut real estate licensees! The course will cover the required topics of financing, ethics, and fair housing. Our discussion of financing will cover the various programs that clients may be able to use to finance a home, including government loan programs. We'll also review important lending laws and financing documents. In the ethics section of our course, we'll discuss the impact of ethical behavior on real estate professionals and their clients. This includes a discussion of some ethical situations that licensees may face. We'll end the course with a comprehensive class on the fair housing laws that you need to know to treat everyone fairly, and to avoid liability in your practice. This 6 hour package of educational content is designed to provide real estate professionals with an overview of important topics and concepts related to the financing of real estate transactions. This package is primarily concerned with the financing of real estate transactions. This package will cover such topics as relevant lending laws, sources of funds, loans, government loan programs, and documents used in the financing of real estate transactions. This 3-hour course will satisfy the mandatory requirements for licensed real estate agents. It includes the mandatory 3-hour legal update and review for Connecticut Real estate licensees.